Mirzakhani got her name from the great mathematician Maryam Mirzakhani. Maryam was the first woman and the first Iranian to win the Field’s medal for her work on dynamics and geometry of Riemann surfaces and their moduli spaces. Tragically Maryam died of breast cancer in July 2017. 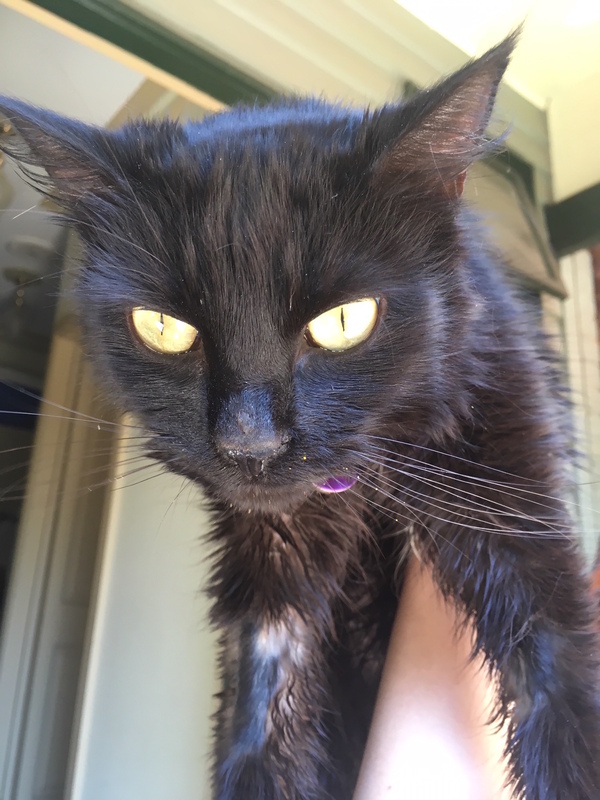 In August 2017 this little black cat came into the life of Silverpond data scientist and cat lover Ruth Pearson. A rescued street cat she was named in Mirzakhani’s honour. Only a month later little cat was herself diagnosed with advanced kidney disease. True to the legacy she inherited Mirzakhani the cat lived a loved and inspiring life until her death in April 2018. Kidney disease is one of the most common problems in older cats, an artefact of their evolution in desert conditions. Unfortunately it is not easy to detect until it is already quite progressed. If it were possible to catch the disease earlier, treatment could be started sooner giving the cat a longer and happier life. The benefit of artificial intelligence (AI) in the medical space is being recognised globally across research, government and corporate ventures. But what about using AI in veterinary medicine? Could we use machine learning for early prediction of kidney disease in cats? Ruth thinks we could!